In the last days of the War of the Ring, Korra, a Ranger of the North, rode with the Grey Company against the forces of Mordor. After Sauron was defeated, she is tasked with a Quest to travel far to the East to establish diplomatic ties – and to search for Star-metal, a powerful material with unusual properties. But she doesn’t go alone. Galadriel sends along one of her maidens, an ancient Elf who refuses to wield a sword unless absolutely necessary, and whose eyes shine a shade of green she’s only ever seen in a dream. 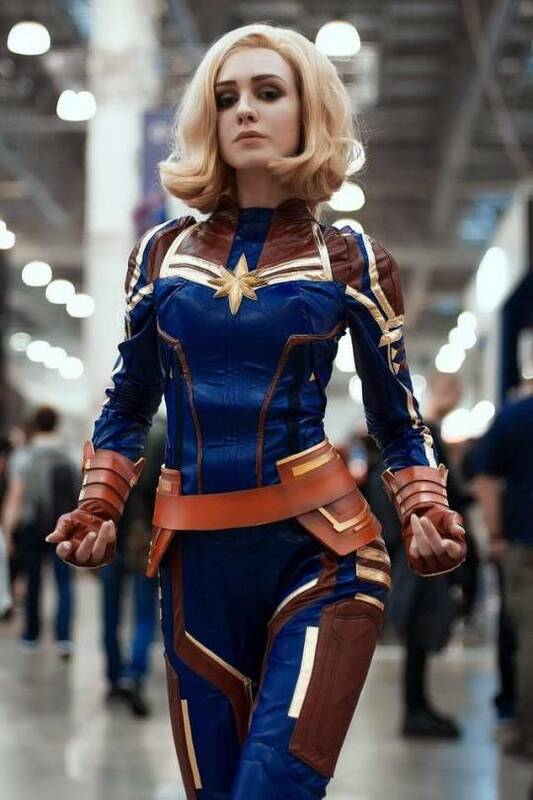 Cosplay: Captain Marvel from Marvel Comics.